Please use the free resources below to make your training easier! For students who are preparing to solo below is the pre-solo open-book quiz that you will need. As you start flying more and gain proficiency you will start working on landings. It's important that a student pilot understands how to conduct themselves while in the "pattern" at an airport. The procedures illustrated on the form below are from an example at Dare County Regional Airport. 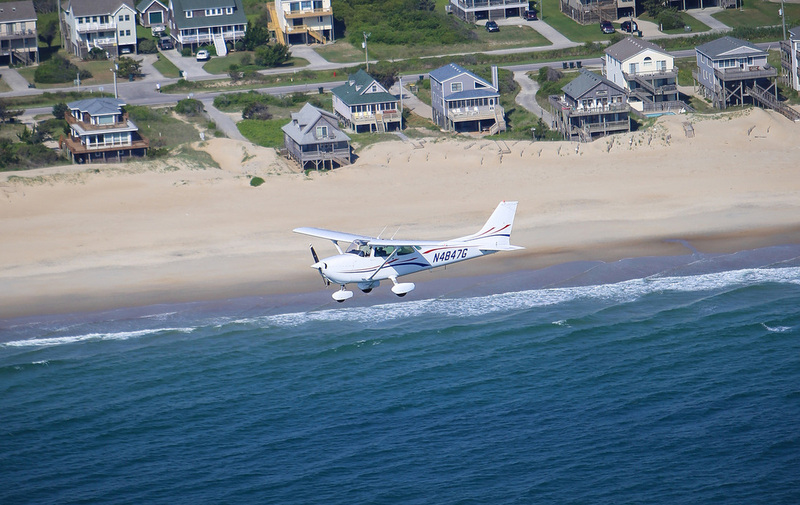 Pilot's operating handbooks for radios & the aircraft you will be using at OBX Airplanes! Dare County's helpful and friendly staff will be happy to help you with your needs around the airport. This is not mandatory for student pilots but is a good idea to carry to protect yourself against liability if you are renting different airplanes. *To avoid unnecessary pilot training cost you should contact an Aviation Medical examiner for a flight physical. Dr. Davidson is conveniently based in Nags Head, NC and will be happy to arrange for your medical exam. Usually if you think you are in good health you probably will have no trouble passing a medical exam. A few things that are disqualifying towards a pilot's license are: insulin dependent diabetics, high blood pressure, sleep apnea, color blindness and mental illnesses. However, this doesn't mean that you can't fly at all. If you are concerned about passing a flight physical be sure to speak to one of our CFIs first. To begin working towards any rating, after your first flight with your flight instructor, you will need to allow your flight instructor to view your birth certificate along with a photo ID or a passport. However, OBX Airplanes LLC is a Registered "Alien Flight Training Provider" which means if you are not a US citizen you can still train with OBX Airplanes. Call or email for details 252-489-8165.